How does an adiabatic cooler work? An adiabatic cooler is a liquid cooler. 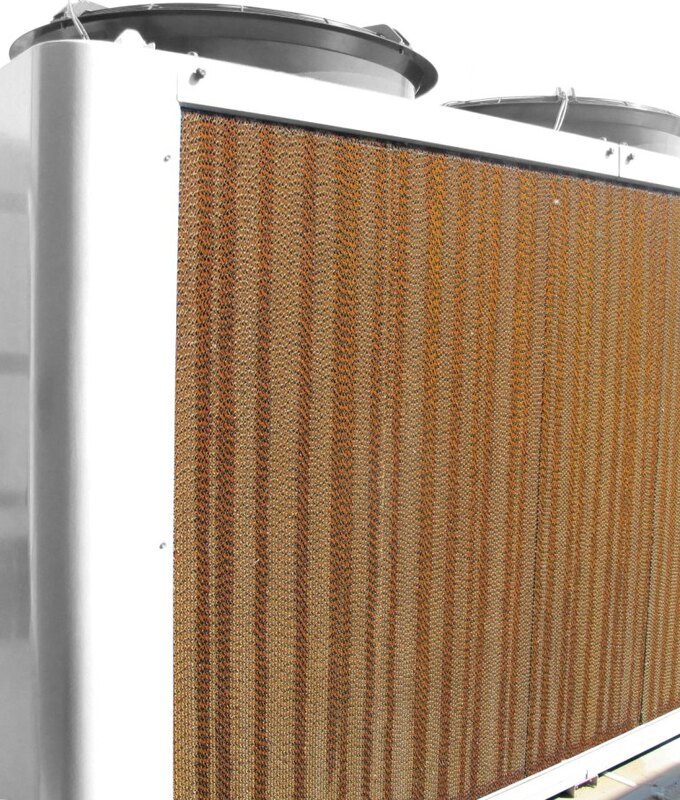 The heat to be removed is discharged dry throughout most of the year by only using the ambient air (dry working). As soon as the temperature of the ambient air becomes too high, this will appliance will automatically switch over to wet mode and make additional use of the cooling effect of evaporating water to significantly lower the temperature of the air drawn in. As a result, the liquid to be cooled can be cooled to a lower temperature than the dry temperature of the ambient air. There is no recirculation of the evaporation water. If the cooling demand over the appliance falls and/or the temperature of the suction air lowers, the introduction of water will automatically stop and the axial fans will decrease in speed to ensure the required temperature of the cooling water and keep energy and water consumption low. A vapour cloud will never be visible above the cooler. Each fan is driven by a separate motor. Then with a failure only the fan concerned is involved and the weight of the motors remains limited to benefit ease of handling during servicing.